This extra lightweight breathable Gore-Tex Shakedry Jacket keeps you dry and comfortable for any type of cycling from recreation and commuting up to sportive level. Previously called 'Active Shell', Gore-Tex Active is a more advanced, more breathable and lighter version of Gore-Tex - the world's original breathable waterproof membrane fabric. Six year's in development, Gore-Tex Active is manufactured with a lighter weight outer fabric. Its thinner, more porous membrane is fused to the inner fabric with less adhesive. This inner fabric is much smoother than previous versions of Gore-Tex, making it feel nicer to wear, say, over just a minimal base layer. Specifically designed as sports active-wear, a Gore-Tex Active garment must weigh less than 300g. To this end, Gore restrict extra features such as pockets to the bare minimum, which in turn reduces the length of seam tape required. This is a bonus because seam tape adds weight and isn't breathable. 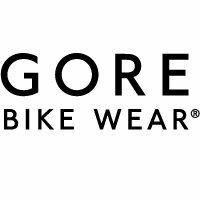 To put all this into context, Gore-Tex Active has been independently tested as being 50% more breathable than Gore's previous best, Paclite, which was rated 'extremely breathable' on the industry-standard RET scale.